Next to the signature products LEBL offers, Leon is always busy developing new products and working on special projects. 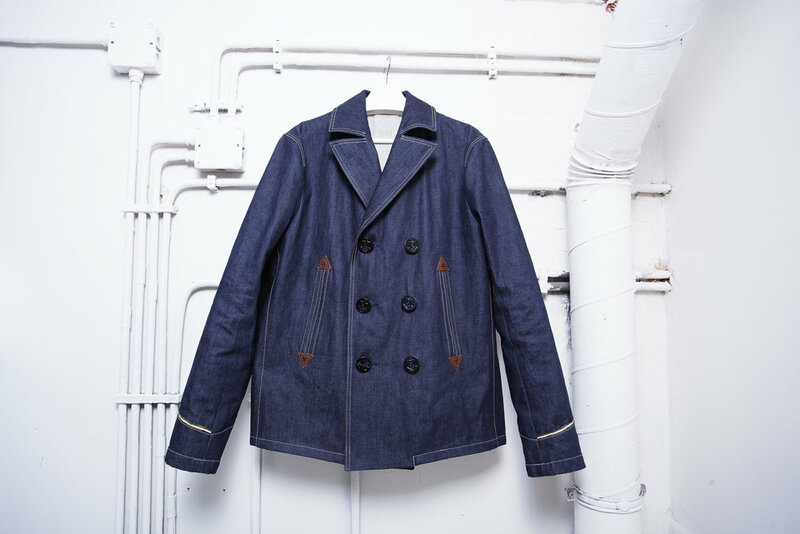 He likes to collaborate with artists from different disciplines, while always bringing a new edge to denim. Inspired by a marine jacket (Caban), this item is made out of 14oz Kuroki fabric, detailed with camouflage tape, a lining of classic hickory stripe, pocket corners reinforced with cowhide leather and finished with classic marine jacket buttons.